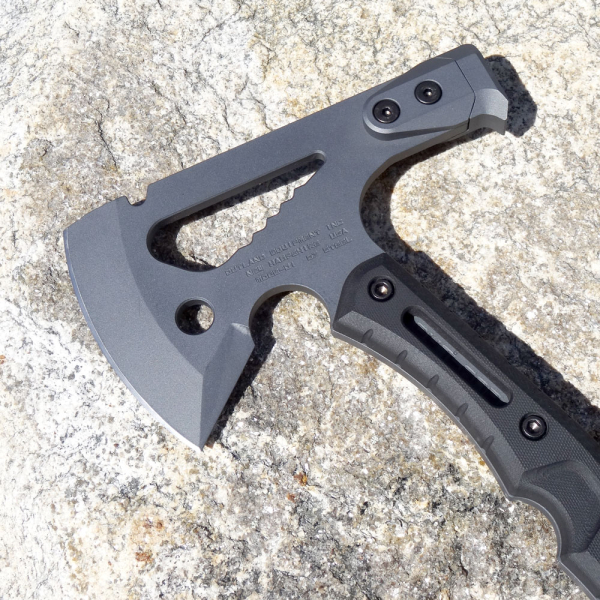 Have you ever been axing your way through the jungle and thought to yourself "This axe needs to be able to do more...". I know I have. 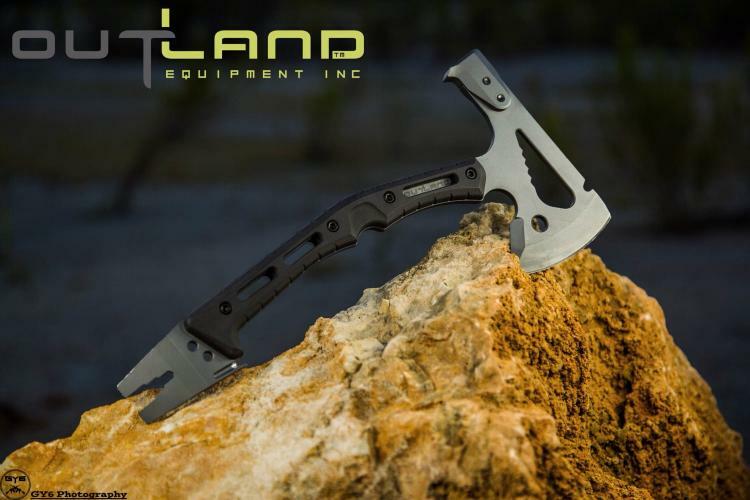 The Outland Multi-Mission axe is a beautifully designed steel axe that has a plethora of other tools on the axe, thus placing it into the multi-tool/survival category. 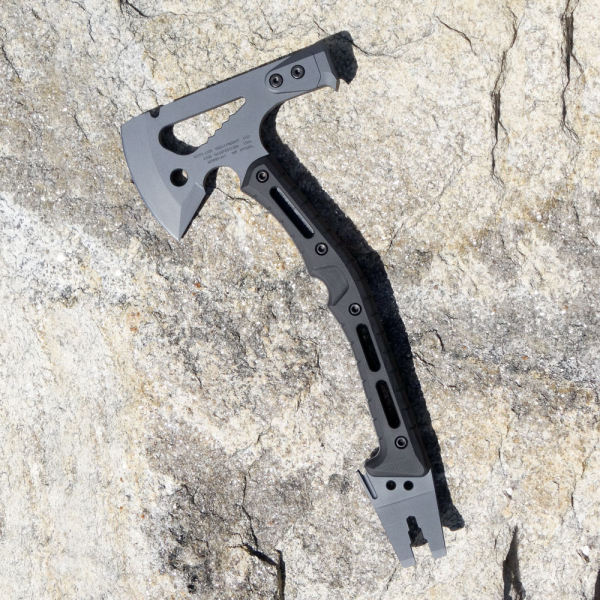 Other than the 4 inch blade, the multi-tool axe comes with a modular steel hammer, a pry feature on the bottom of the handle, a seat belt cutter for extreme emergencies, hex nut tools, as well as just an all around extremely powerful construction that feels like you're king of the world when you're holding it in your hands. 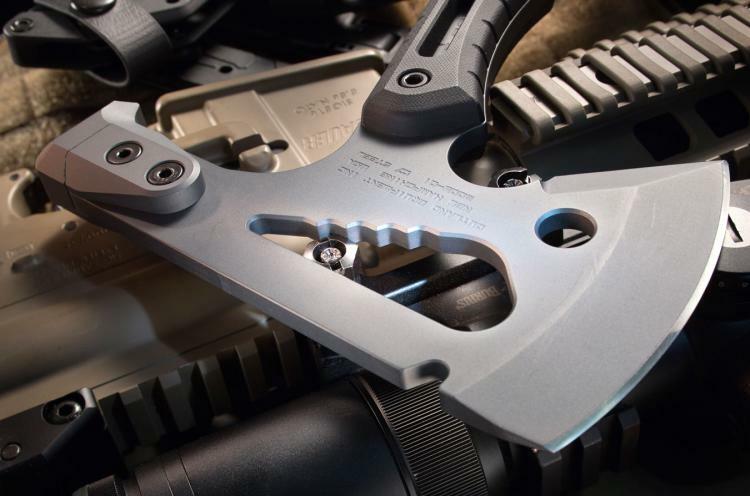 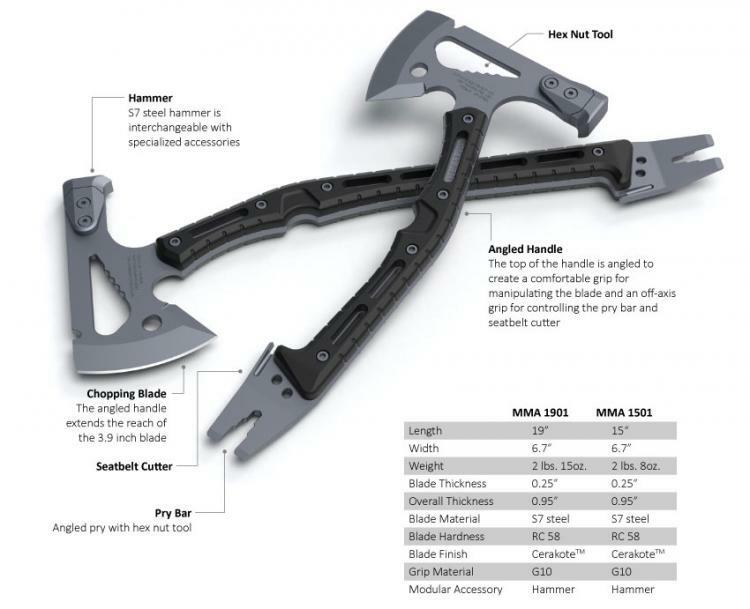 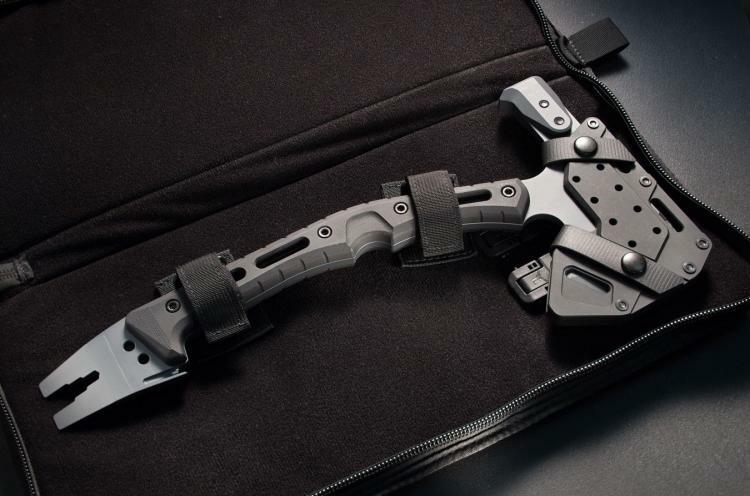 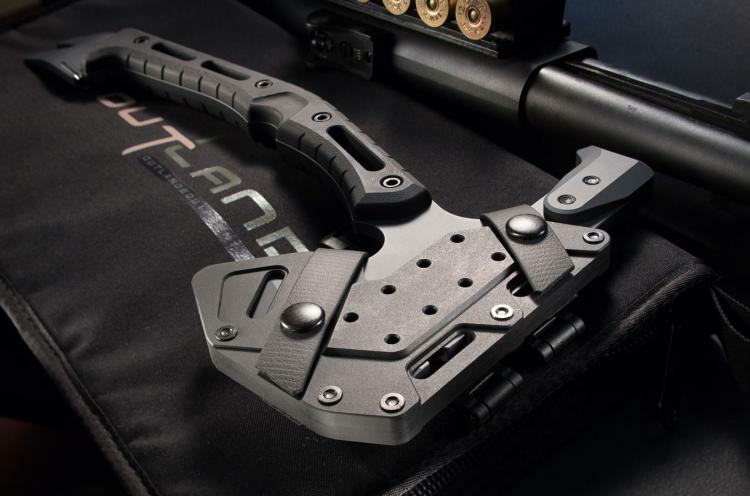 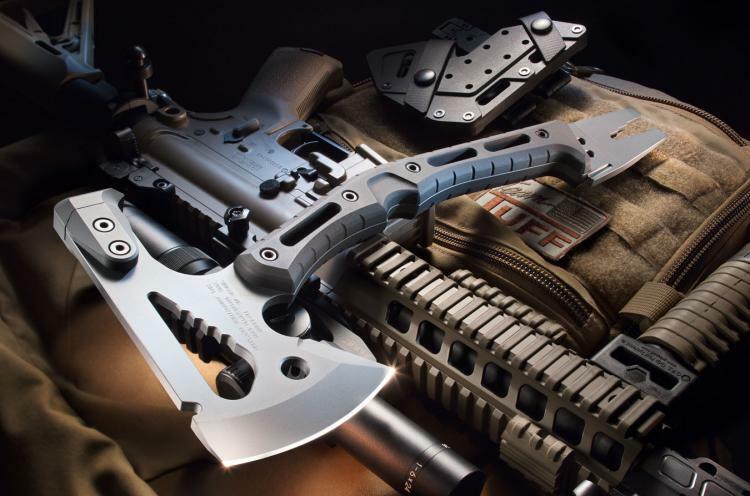 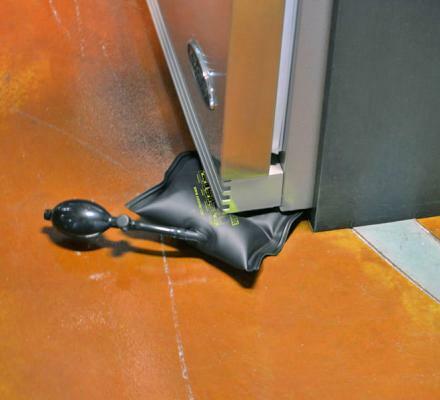 Made by Outland Equipment, a company based out of New Hampshire that specializes in creating tools to help you survive in hostile environments, the multi-tool axe comes in two different sizes, a smaller axe that measures 15 inches long, and a longer axe that measures 19 inches long. 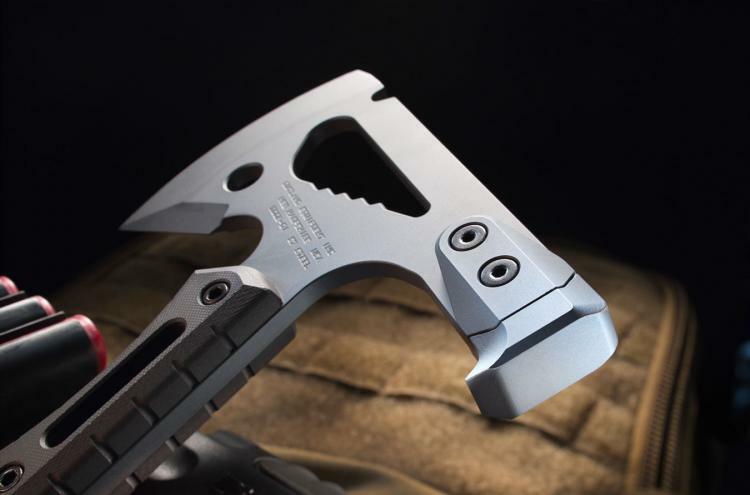 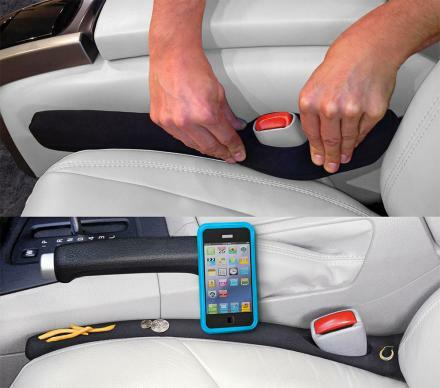 Each version of the axe has the same exact features, as the only difference is the length. 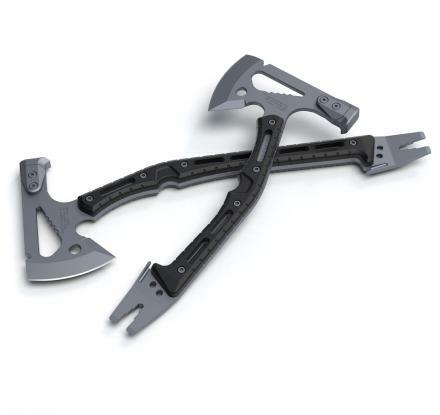 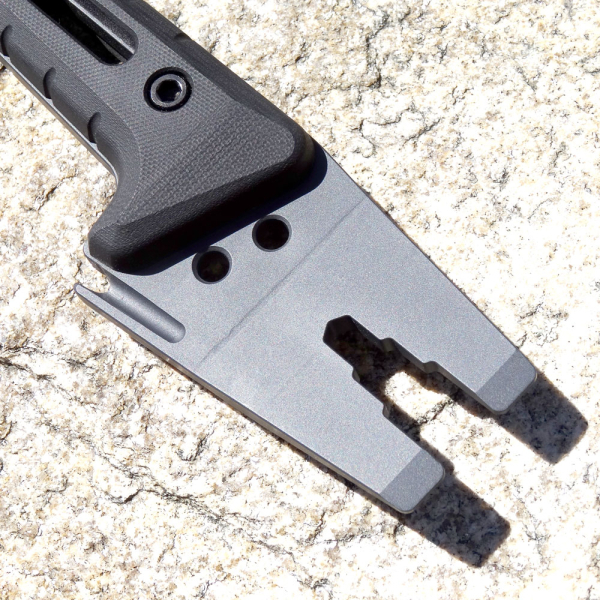 The Multi-tool axe is designed with multiple grip positions depending on where you prefer to hold the axe, is constructed from a single piece of hardened S7 tool steel which is built to withstand extreme shock and impact, and comes in a custom zippered case. 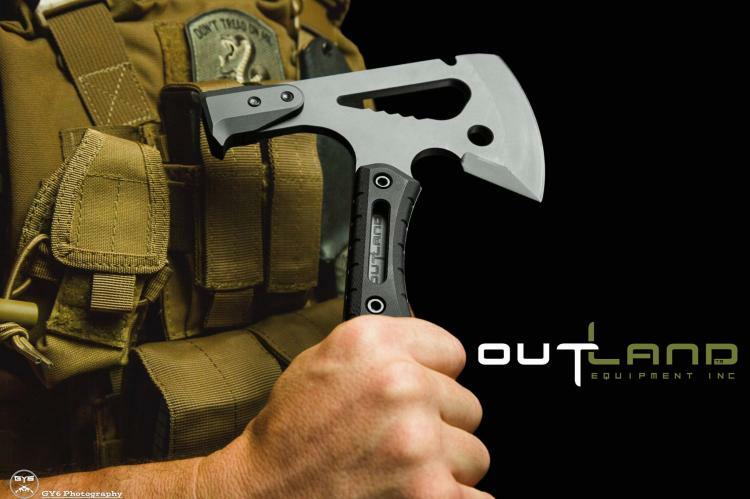 The mutlit-tool axe is perfect for in the woods, for working in the field in law enforcement, fire rescue, or the military, or just to have in case of emergencies, and is designed to make you succeed without having to carry around a load of other tools to do so.